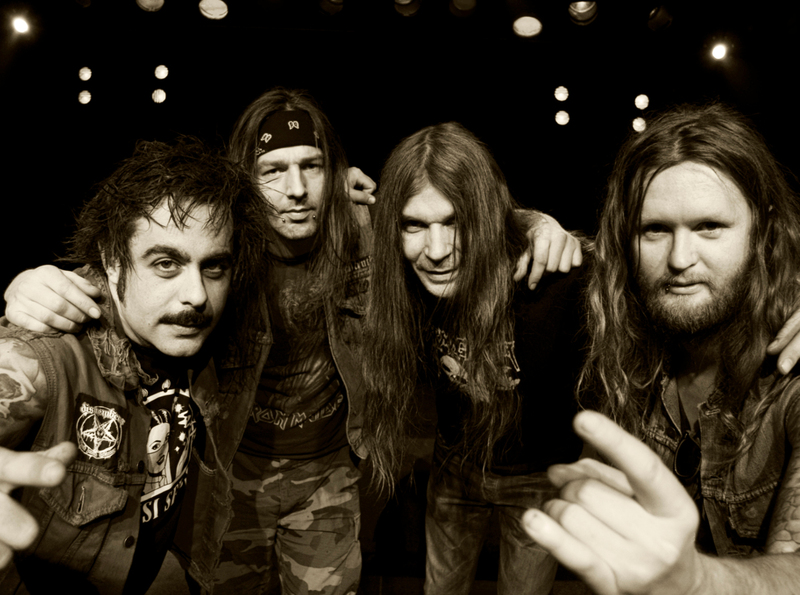 Influenced by american and european thrash bands of the 80s, performed fast and aggressive, Reactory could be one of many bands of the „new wave of thrash“. With one difference: Reactory is thrash metal! Reactory breathe and booze thrash and it seeps from every one of their pores! Reactory was formed 2010 in the dark vaults of a Berlin courtyard. For only one purpose, to celebrate thrash metal, raw and unadulterated. The band recorded a demo the same year and played the first shows. In the summer of 2012 the EP „ Killed by Thrash“ was recorded and released by Slaney Records in January 2013. Before the recordings for the first album could start the line-up changed and Reactory play with a different drummer since then. In July 2013 the Band moved into the rooms of Gernhart Studio to record the album „High on Radiation“. Released by Iron Shield Records February 2014. In this time Reactory always tried to play as much as possible and did around 100 shows through half of europe untill now. But this is just the beginning, because Reactory wants one thing first of all: Thrash!